Finished reading The Digital Photography Book, Volume 3 by Scott Kelby. Like the Volume 2, Volume 3 builds of the other books as opposed to being a 3rd edition. This seems to be Scott Kelby’s little scheme to get people to buy three books instead of just one. Kelby continues his same tell it like it is writing/teaching style in this volume. Each page of the book covers a different topic and contains a tip to improve your photography. My only disappointment with this book was that it seemed to repeat some of the material from the first book. 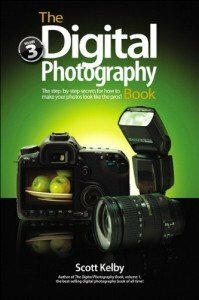 Overall The Digital Photography Book, Volume 3 is a good book and you will learn several new tricks. If you enjoyed Scott Kelby’s other books you will enjoy this book.